We feature our own Bucks County-made product line including jewelry, art, decor, and sculpture as well as offer the works of dozens of other American makers. We are AAOTE USA made! This is our 10th year at the Bucks County Designer House. We bring home and garden decorations along with living potted herb plants. Bishop Estate Vineyard and Winery is a stone’s throw from the Designer House this year and we are excited to bring our wine to complement the delicious offerings at the Designer House Cafe or to take a bottle or two home with you to enjoy later – Cheers! Our goal is to inspire creative cooking by using ingredients that excite you. 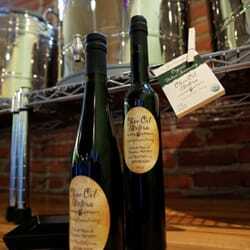 Try our selection of olive oils from small farms in California and thick balsamic vinegar from Italy. We hand select each farm we work with and pride ourselves on taste and quality. Visit us here at the Designer House or our shop in Doylestown. The Saddlery and Boutique at Fox Heath features equestrian-inspired accessories, gifts, household accents, country clothing, and fabulous hats. Tenth year at the Designer House.